Custodial decisions must be centered on the child’s best interests. New Jersey law focuses on the best interests of children whenever custody is at issue. State public policy also supports active involvement and frequent contact with both parents, who have equal parenting rights, after divorce as long as it is in the best interests of their children. In fact, a parent is not legally unfit unless he or she has engaged in conduct that had a “substantial adverse effect” on his or her child. The question of custody entails two types. Legal custody assigns the rights and responsibilities of major decision making as concerns the child’s life. Physical custody determines with whom the child will primarily live. Either type can be held jointly or solely with one parent, depending on what is in the child’s best interest. If one parent has sole physical custody, the other is typically granted visitation, called parenting time, with the child. New Jersey parents often negotiate the terms of a custody arrangement privately as part of a marital settlement agreement. State statute provides that the judge in the divorce shall order the agreed-upon arrangement unless it is not in the child’s best interest. If the judge rejects a custody agreement, he or she may order each parent to submit a custody plan for judicial consideration in crafting an arrangement. Custody matters are highly dependent on the unique circumstances of each family and the specific needs of the child involved, so it is important to retain an attorney who understands the intricacies of New Jersey custody law and how it has been interpreted by state courts. 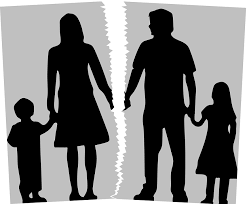 With offices in Woodland Park, New Jersey, the lawyers of Del Sardo & Montanari, LLC, represent parents in custody matters and in all other legal issues in divorce and separation.